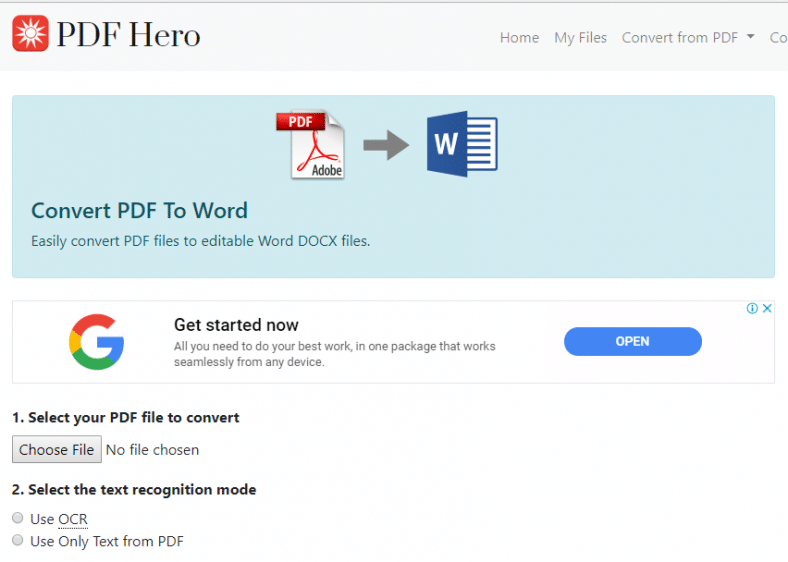 In this PDF Hero PDF To Word converter review, I will be taking a clear analysis of the capacities and ability of this converter while also taking a keen look at some of the little things that may be considered as the shortcomings of this app. To achieve this, we will be doing a round off of the PDF Hero converter in an introductory manner, then this will be followed by an analysis of all the capacities that it brings to the table. The reason for taking this approach is to give you the reader a holistic review of the app that covers everything about it, and explain the reason for selecting it as one of top PDF to word converters in our list. 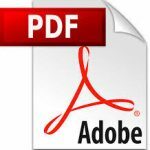 PDF Hero is a PDF to Word converter app that comes with a somewhat different strength. This strength is shown in its online-based nature. It means that you can access the app anywhere and anytime regardless of your location. As is common among many PDF to Word converters, most comes as a downloadable app. This means that you may not able to use that service when you are on the go. 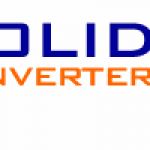 However, with PDF Hero PDF to Word converter, all you need is to have the file you want to convert on your smartphone and you can perform your conversion from virtually anywhere. Another cool thing about this PDF to Word converter is that it has a very responsive web page. From the web to the mobile and tablet versions, the site opens very finely. This makes it easier to work on the go and do everything you need to do from wherever. There are basically two steps involved in carrying out the PDF to Word conversion using the PDF Hero web app. Just below the page is the steps to carry this out. First, you choose the file you will like to be converted to Word format. This requires browsing through your system to locate the file and then upload. The next step is the text recognition feature formatting. At this point, you can either select to use the OCR (optical character recognition) or you select to use only text from the PDF file. Then you hit the “Convert Now” button. This pretty straight-forward conversion process contributed largely to what made me fancy this PDF to Word converter. In two small steps, you have your files converted to Word format already. When you select the OCR option, a third option comes up that asks you to choose the language that your file is in. This makes it a lot easier for you as a user to convert documents to Word format in virtually any language. Now, to the output. When I uploaded the file to the site and click “Convert”, it took about 15 seconds to upload a 14-page document and some 30 seconds to convert it to Word format. Also, I noticed a difference in the size of the PDF file uploaded and the converted Word document. The output file has 347kb file difference. The original PDF file was 446kb while the output was 99kb. It is obvious that PDF Hero also compresses the file it converts to Word. After the conversion has been done, I did a comparison of the files and notices a slight difference in the output when compared to the original file. First, some of the texts in bold appeared a bit distorted while some in upper case were also distorted. 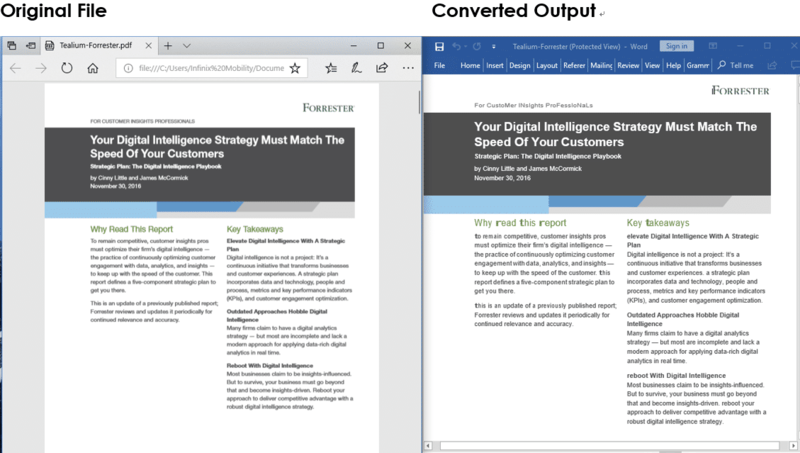 Aside from the output difference in text, every other thing about the conversion process of the PDF Hero are as good as you will like it. Also, the web-based nature of the app makes it a whole lot user-friendly and better accessible for everyone. These are the things that stands out about the PDF Hero PDR to Word converter.